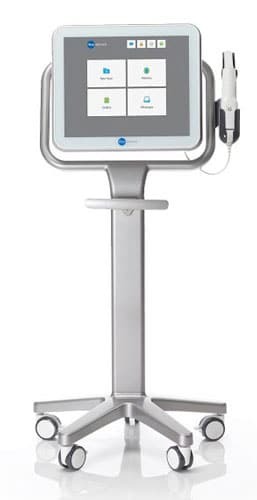 Dr. Jack Hilty is proud to offer iTero Digital Impressions for our patients. Unpleasant putty impressions are a thing of the past with the iTero Digital system! For patients who are candidates for Invisalign aligners, an accurate impression is essential for effective treatment planning and orthodontic care. The accuracy and detail of the iTero scan versus a putty impression is comparable to watching HDTV over standard definition TV. The iOC Scanner captures the contours of tooth and gingival structures, producing an accurate digital orthodontic scan in minutes. This non-evasive procedure is ideal for patients undergoing treatment with Invisalign and clear aligners. No unpleasant putty material traditionally associated with taking impressions! The iTero handheld wand takes a digital, 3D image of your prepared teeth, stopping as needed. The wand is non-evasive and you can breathe and swallow during the procedure. If you need to move or adjust, you can do so – the accuracy of the handheld wand is first-rate. Needing to “re-do” impressions is rare. Plus, you can look at the iTero 3D image on the screen in real-time as the orthodontist moves the wand!